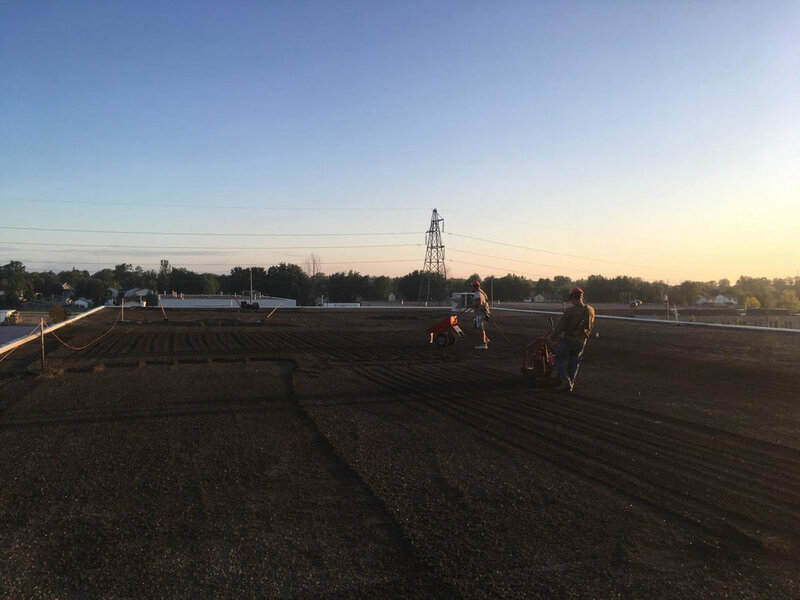 Looking to replace your industrial flat roof? 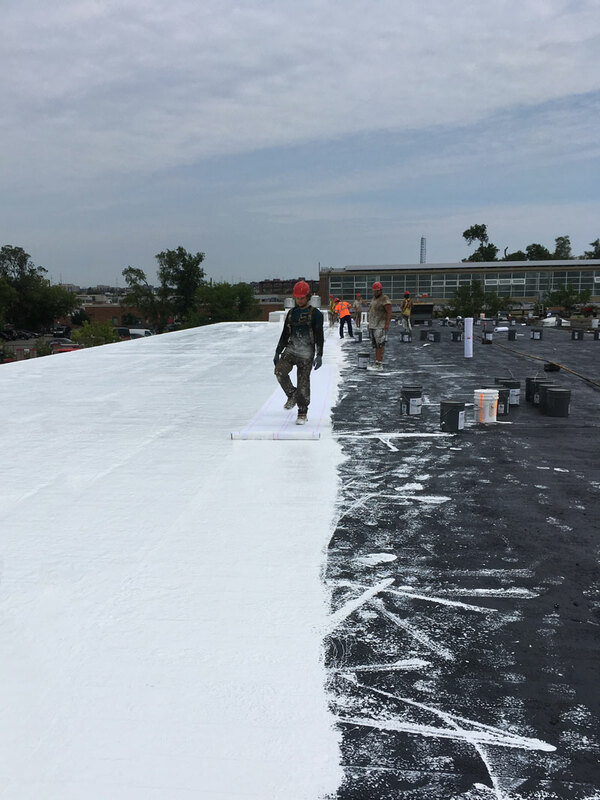 In many cases, a proper roof restoration is a cost effective alternative to a full replacement. 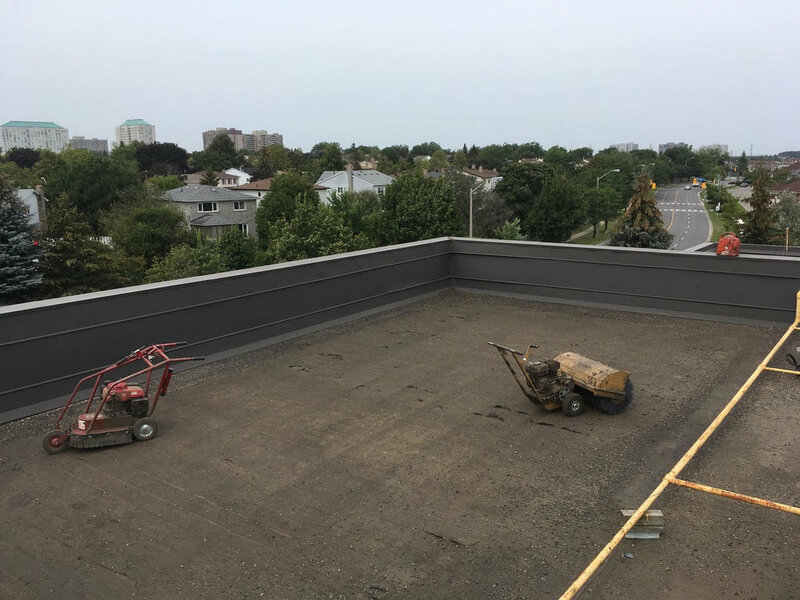 Servicing southwest Ontario, Brubacher Roofing Systems specializes in seamless silicone roof restoration and repair. 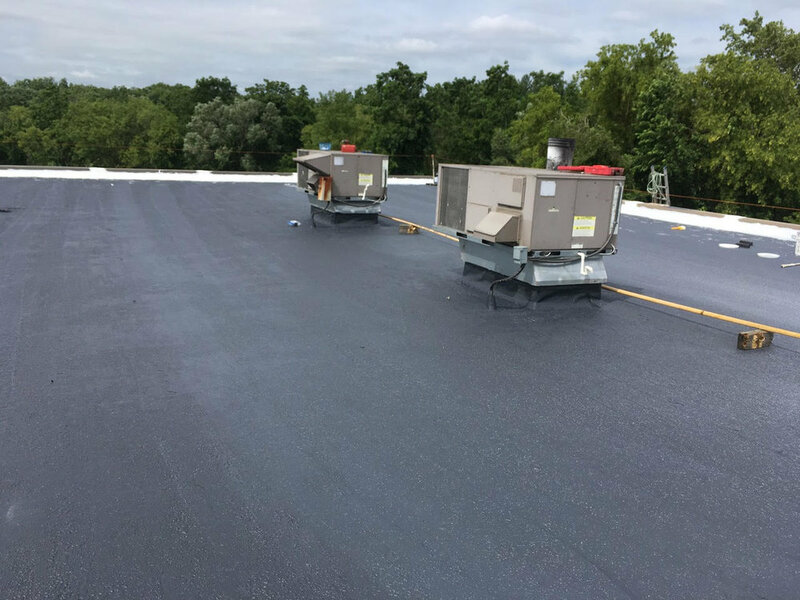 Our silicone restoration system is a fluid-applied solution that is fully adhered to your existing commercial flat roof. 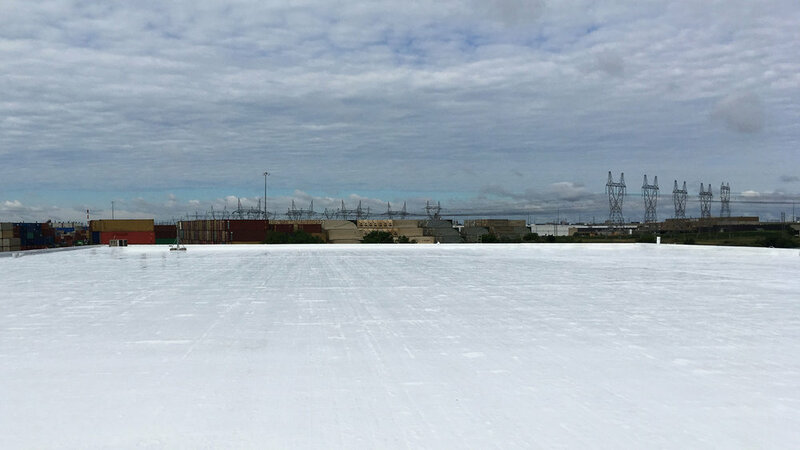 The result is a long lasting, fully adhered, fully reinforced, seamless membrane with superior weatherability. 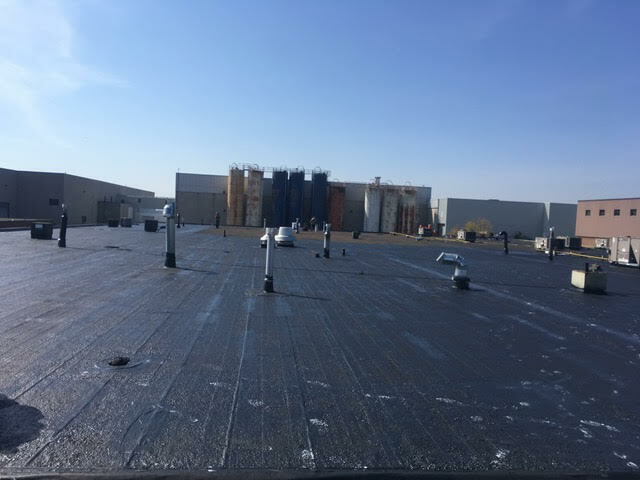 EACH YEAR, MILLIONS OF DOLLARS ARE WASTED IN THE PREMATURE TEAR OFF OF FLAT ROOFS. 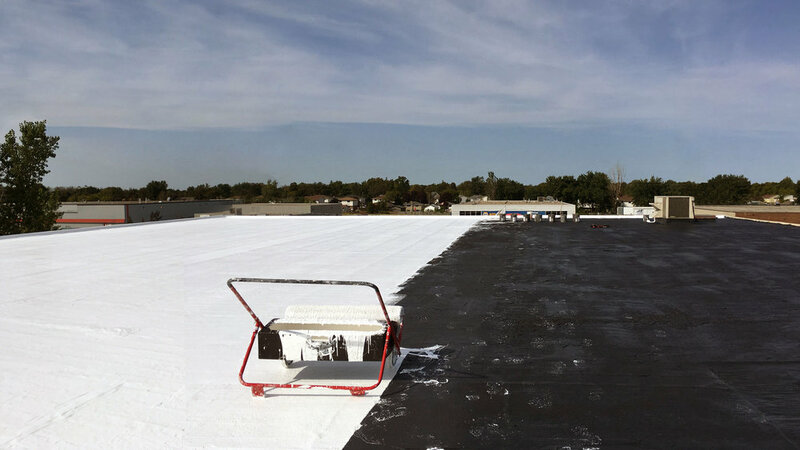 IN MOST CASES, A PROPER RESTORATION CAN BE A PERMANENT, LOWER COST SOLUTION TO ROOF LEAKS. 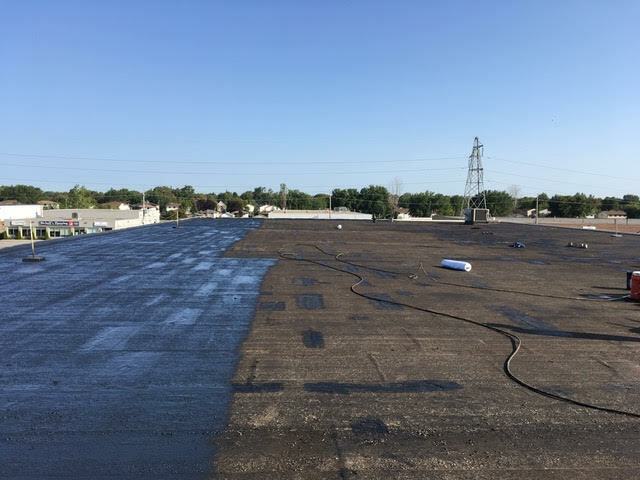 Our Fluid-Applied Silicone Roof System can be used in the restoration of most types of commercial and insustrial flat roofs, including Tar & Gravel, Modified Bitumen, TPO, EPDM and PVC. 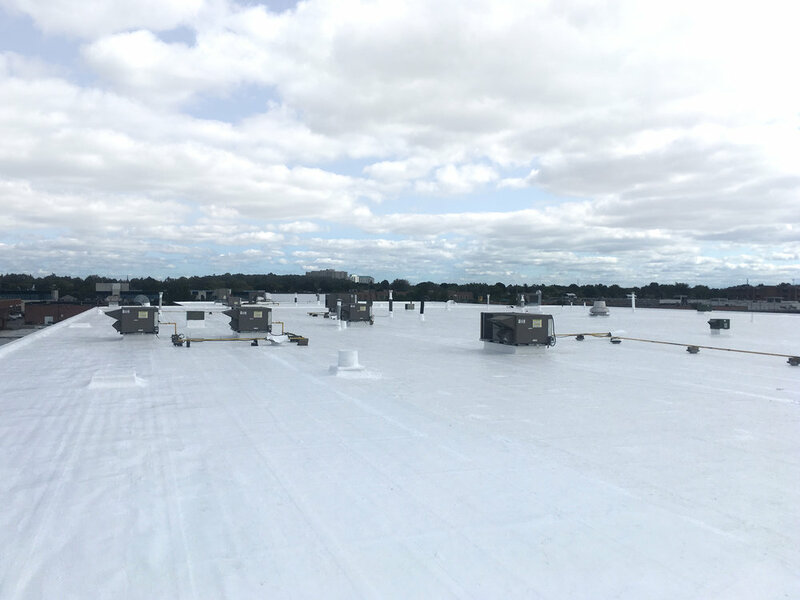 95% of roof leaks on single ply membranes are due to failure of seams. 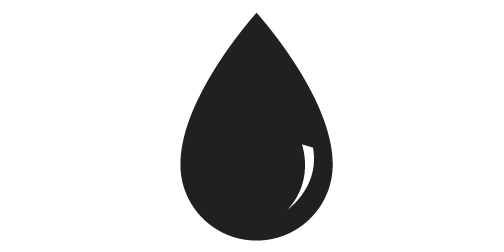 Our fluid applied systems are monolithic. 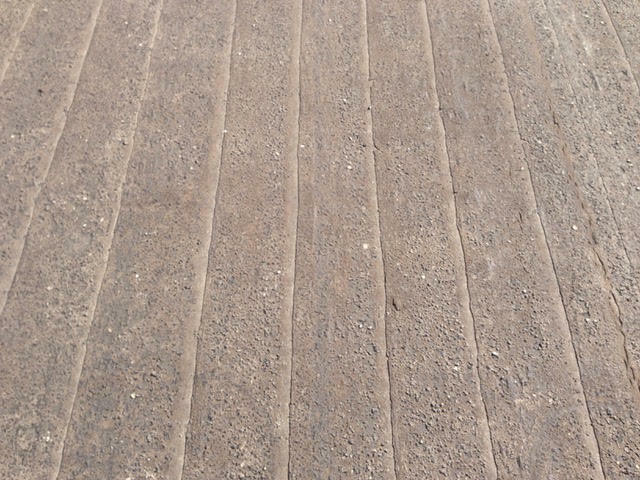 No seams. No Leaks. Our restoration systems are generally half the cost of roof replacement. 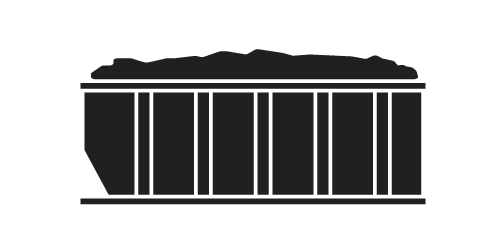 This allows you to upgrade twice the roof coverage on the same budget. Eliminating any interference with production save you money and keeps unnecessary waste out of our landfills. The white, reflective finish reduces cooling costs during the summer. Only the silicone top coat needs to be re-applied to renew your minimum 15 year warranty. 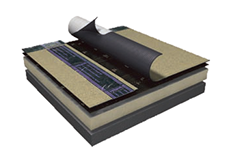 Our Silicone Roof System is a fluid-applied solution that is fully adhered to your existing tar and gravel roof. 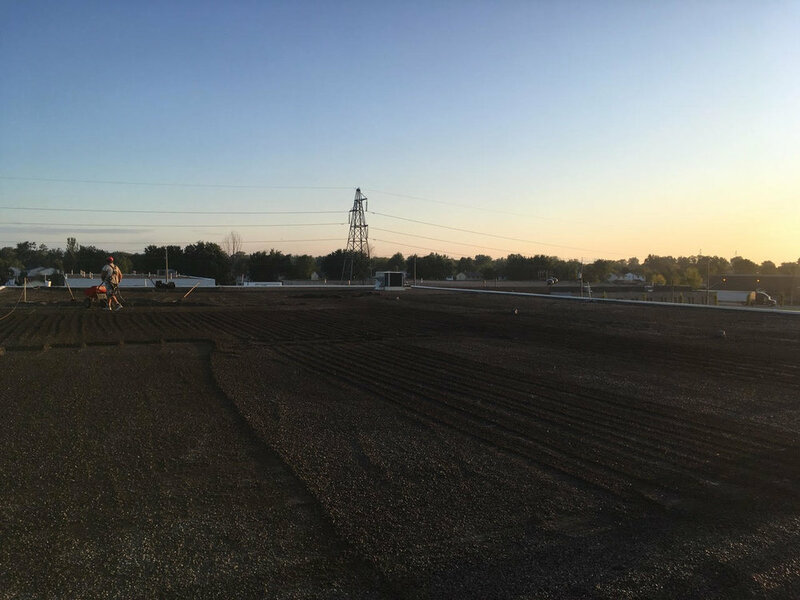 We achieve this by removing the gravel and using a planer to make your roof smooth. 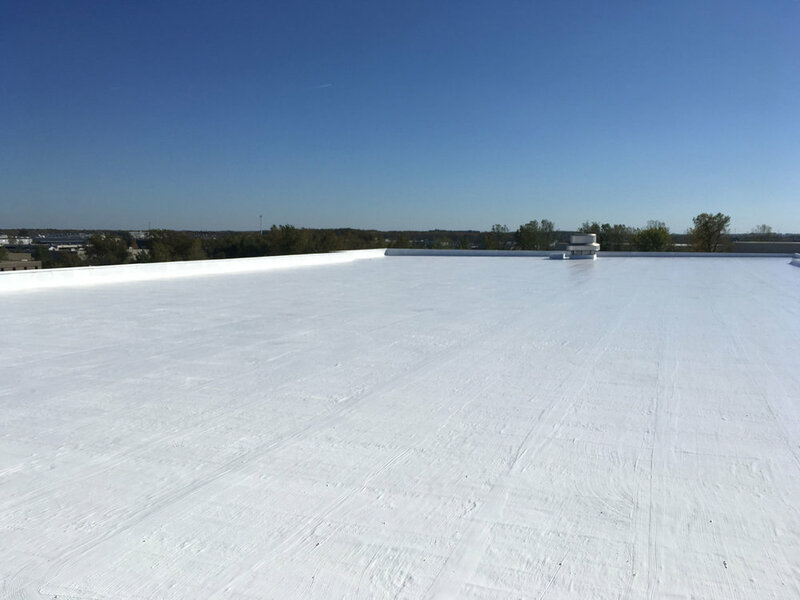 Roof deficiencies are addressed, penetrations are reinforced and then a combination of silicone and polyester fabric are used to build your new seamless roof surface. 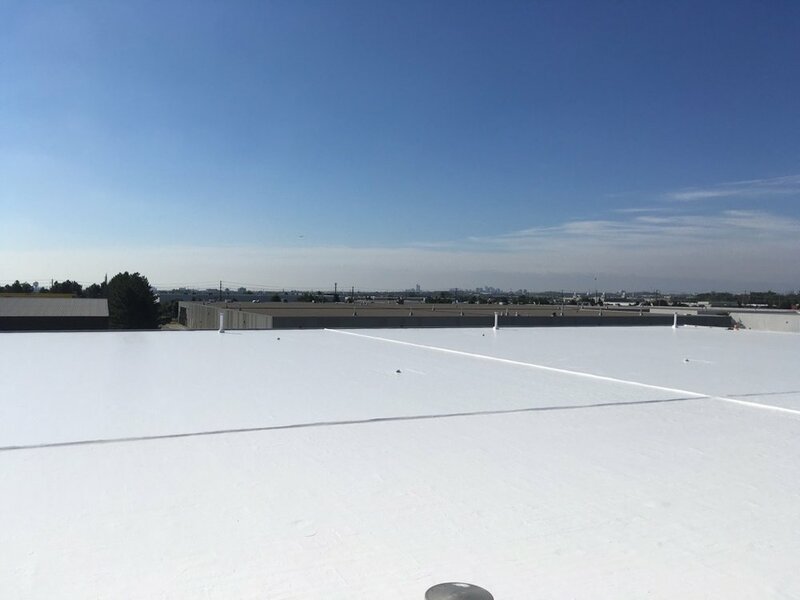 The result is a long lasting, fully adhered, fully reinforced, seamless membrane with superior weatherability. The loose gravel material is removed from the roof. The roof is then planed to a smooth finish and thoroughly cleaned. Deficiencies are addressed, and leaks are patched. An acrylic primer base coat is applied. The fully reinforced fluid-applied silicone system is installed.